One thousand years ago, a soldier lost his ‘housewife’ at the Roman Fort Vindolanda in the North of England. The Fort guarded the Roman Road called the Stangate. 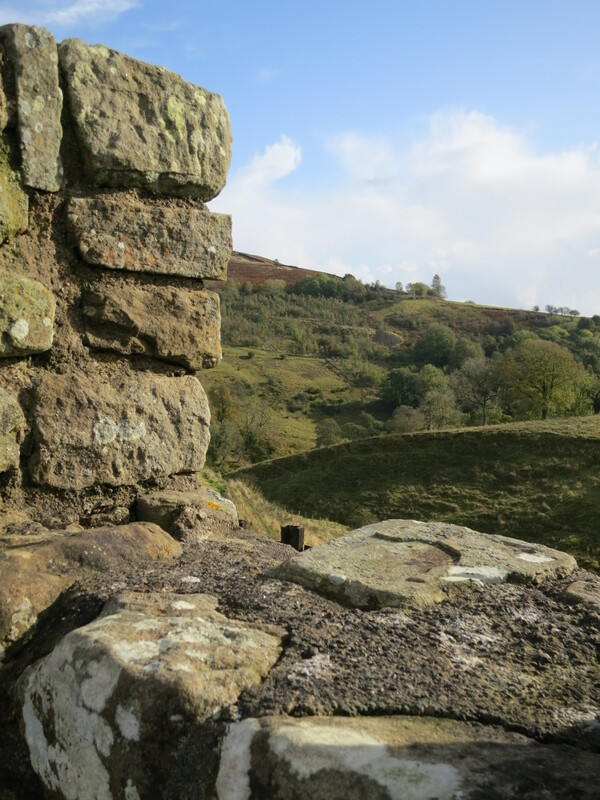 It was positioned very close to Hadrian’s Wall as part of the defenses for keeping the barbarians out of Roman Britain. 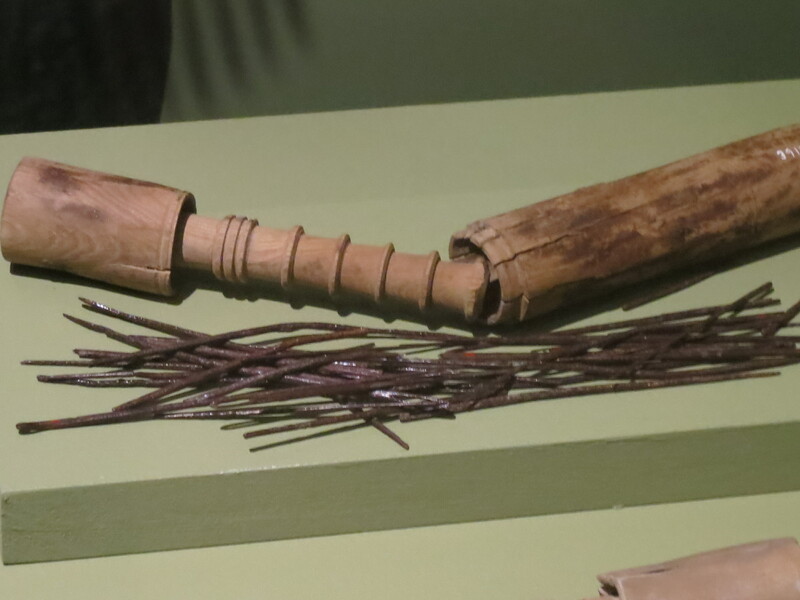 His ‘housewife’ as it was called, was a wooden cylindrical container of graded iron needles. Slim sharp ones for sewing linen and woollen cloth, robust blunt ones for coarse open-weaves, some for leather, some even good for sewing up injured people. It was part of a soldier’s kit. One day, he lost it. Maybe it fell behind a piece of furniture or into a crevice in the floor. Perhaps, it was somehow overlooked when the fort was abandoned. Or perhaps the soldier died in one of the many raids on the fort by those Scottish wildlings. However it was lost, you can see it now at the Vindolanda Museum, behind glass. I saw it in October while we were in Northumberland. I looked at it for a long time. I am still considering it and the marvellousness it contained. Such a humble sort of thing, the needle…yet such enduring usefulness, such a powerful invention. It is a feminine thing. Even when a soldier uses it, the needle remains female as the needle case name of ‘housewife’ tells us. I packed just one needle and some thread in our luggage. I did not expect to use it – it was just one of those things that I thought you are supposed to pack. However, it has been used very often on our travels: hemming trousers, altering op shop bargains, sewing buttons, mending holes in the kids’ socks and thermals, making a wee skirt. One little needle can solve so many annoying problems and make so many useful and beautiful items. It is a wonder, an enduring wonder. I look forward to reading it Jenny-Lynn. I read somewhere that until women starting entering archeology in greater numbers much of artifacts around women’s work were overlooked like spindle whorls and loom weights. Is that what your explores?